Two cops walk into a diner and sit down for a piece of pie and a cuppa coffee. “How’s the strawberry rhubarb tonight?” the first cop asks the waitress. “Hmmmmm ” she says. “We’ll, I think you would be better off with the apple pie, ” she finally answers. “Is there anything else you’d recommend?” asks the second cop. 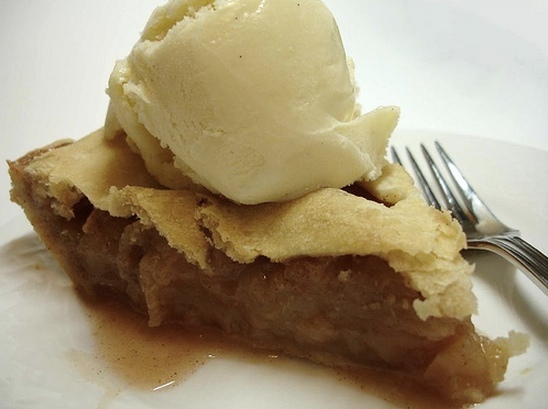 “Well, the ice cream always makes the pie taste even better — I recommend the cinnamon — and I can heat up the pie to be sure it really is awesome. Instead of the same old joe, you might consider our latte. Expensive, I know, but so much better than the house brew.” They bought everything she recommended and left a nice tip. And they came back after their shift the next week and made sure to sit in her section of the diner. This kind of thing happens because the waitress created trust and credibility from the moment she answered their first question. She could so easily have taken their order — after all, not many people say no to the sale. Instead, she gave them an honest answer, and it was obvious that it was her own opinion. When she suggested the expensive latte, they didn’t blanche — she had already proven that she wasn’t going to steer them in the wrong direction. But you know, it was a diner. And their combined check came to $15.89. #1: Help the potential customer spend their money wisely — even if your immediate sale is smaller. #2. Start doing educational sales calls, instead of the kind that are about your company. The other area where we consultants fail to build trust is when we do sales calls. Yesterday, I talked to two people at LunaMetrics who had gone to do a sale together. I hadn’t been part of it, but asked how it went. They said something like, “Well, we gave them three or four great ideas for their digital property, even if they don’t choose us as their vendor.” I was really so proud of them, because that is the way to truly open the door. Remember, the customer might not choose you and may just choose your free ideas, and you have to be ready to accept that unfortunate consequence. Remember, this is a total strategy. It’s not just about changing the way you do sales calls — it’s about changing the way you approach business. If you close the sale, only to disappoint the customer during the consulting piece, you’ll lose the customer at the end of the contract and have to start all over. Filling up a leaky bucket is an expensive proposition. Ultimately, a customer-trust business is end to end. It’s about your receptionist being helpful and open when s/he answers the phone. It’s about not landing large accounts and then scrambling to find any warm bodies you can to put on the project. It’s about picking up the phone and saying to the customer, “How’s it going? Any problems or concerns?” And to make that all happen, it’s about hiring the right people who embrace the same vision. Now back to our regularly-scheduled programming ….